Challenge your family, friends or colleagues and become a real bowling champion. Disco style bowling at Moeke Mooren is a party. Swinging spares and strikes! 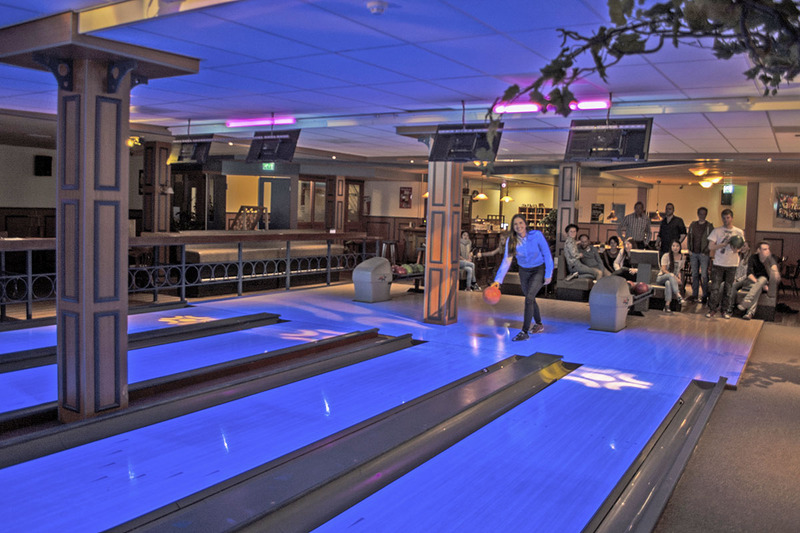 At Moeke Mooren you can go for a fun and active afternoon or evening of bowling. 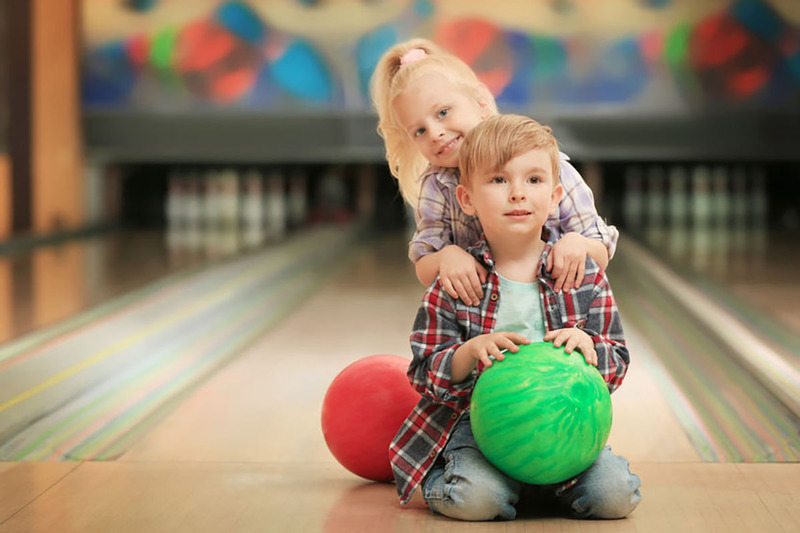 Bowling is a fun and entertaining game for all ages. Our bowling area has four modern lanes in retro style. The unique disco lighting makes bowling a spectacular experience and the cheerful music makes it even more enjoyable. 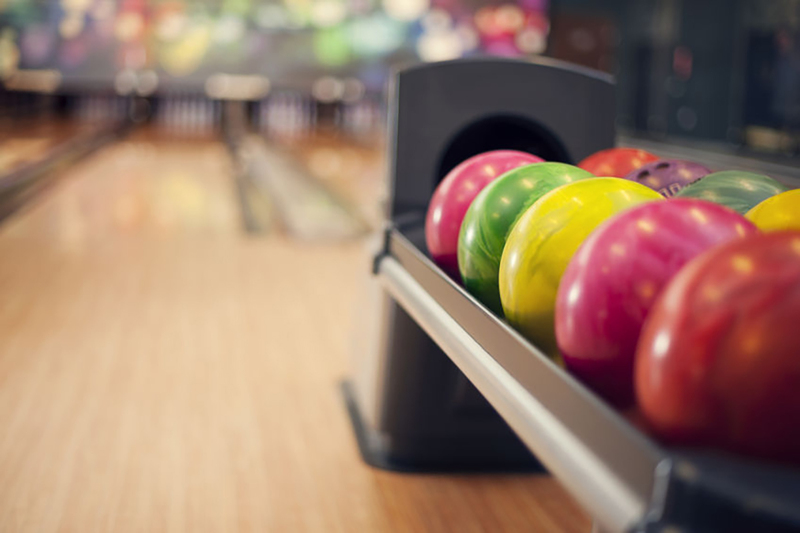 Enjoy our package comprised of bowling and eating at Moeke Mooren. Do you want more than just bowling? That’s also possible! At Moeke Mooren we combine an active hour of bowling with Dutch-style indoor table grilling. A nice activity to do with your family, friends and colleagues. And afterwards you can grab some drinks on the terrace or in our cozy café. This bowling and grill arrangement guarantees a pleasant afternoon or evening. Moeke Mooren organizes the best parties for children. It’s guaranteed fun! Celebrate an awesome children’s party at Moeke Mooren. The kids play bowling with each other at the alley with disco lights and music. Whoever wins doesn’t matter, it is all about having fun. Of course the tasty fries, lemonade and a gift for the birthday boy or girl won’t be missed! Swinging spares and throwing strikes. Cozy bowling in retro style with unique disco lighting and cheerful music.